The Server 85784 remote dispensing system pumps sauces, condiments, dressings, and other popular toppings. It can pump from one pouch and hold another in reserve. 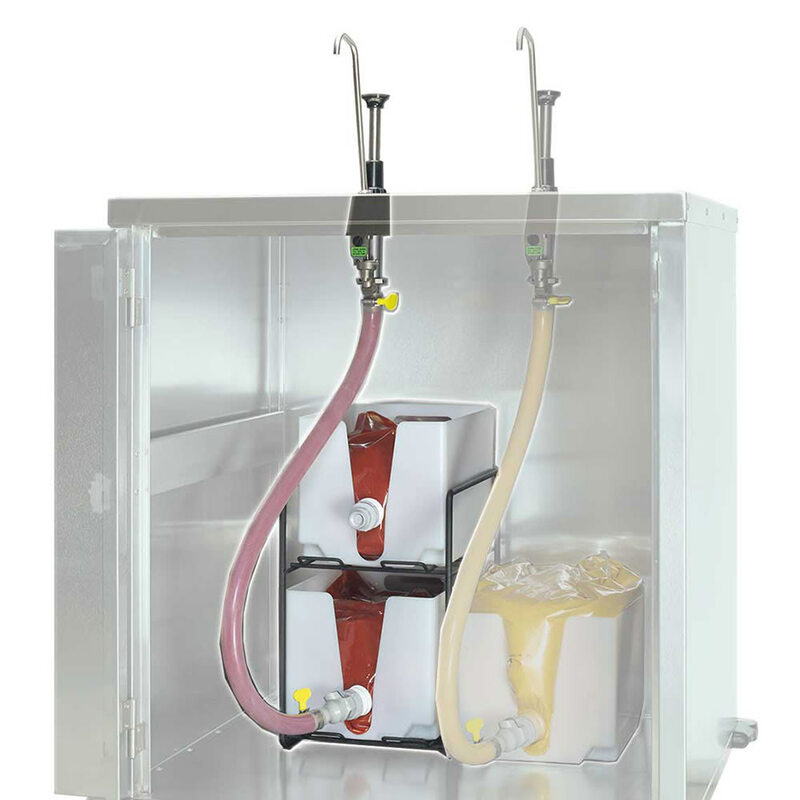 Compatible with 11⁄2-gallon and 3-gallon pouches, the unit has a pouch support rack to hold and organize pouch supports. The unit has a quick-disconnect coupler for the pouch, which speeds changeouts and can help prevent messes. The pump dispenses in 1⁄8-ounce increments to as much as a 1-ounce maximum portion. The pump is makde of stainless steel for durability and corrosion resistance. 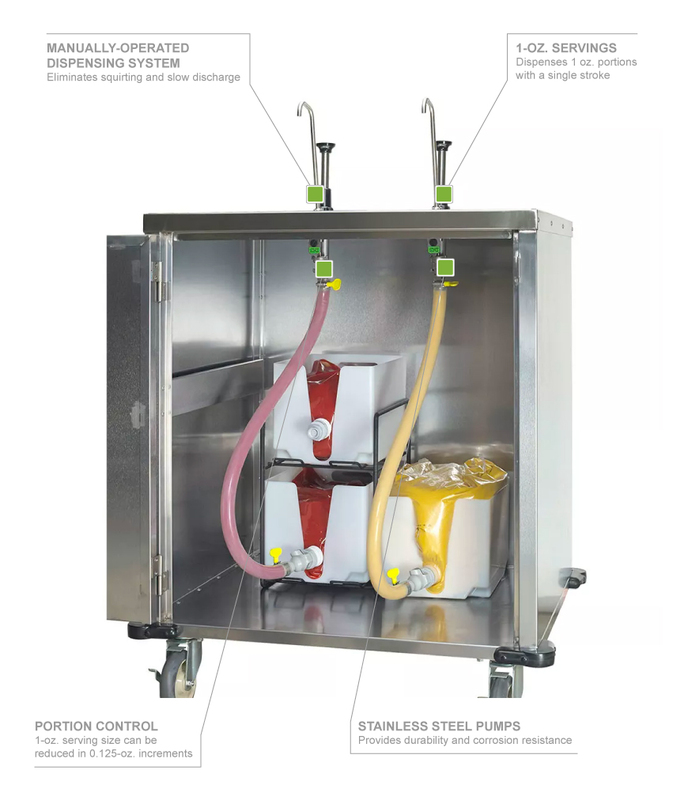 With this system, electricity and CO2 canisters are not necessary, while the Server 85784 remote dispensing system can be installed in countertops as thick as 13⁄4 inches. Portion adjusts in 1⁄8-oz. increments to as much as 1 oz. Can be installed in countertops as thick as 13⁄4 in.